This is the second post in a series looking at the original nineteen ILR stations. This week Capital Radio. Still on air? : Yes, though now part of a national Capital Group as from January 2011. Being based in London and being the largest of the ILR stations Capital Radio could draw in the big names that even Northerners like me, that never got to listen, had heard of. Having said that, like LBC, Capital struggled a little in its first year. The music policy was a too American MOR, but then you have to remember that the directors included Richard Attenborough, George Martin (who held formulate the music policy) and David Jacobs, but it changed to be a more commercial version of Radio 1. 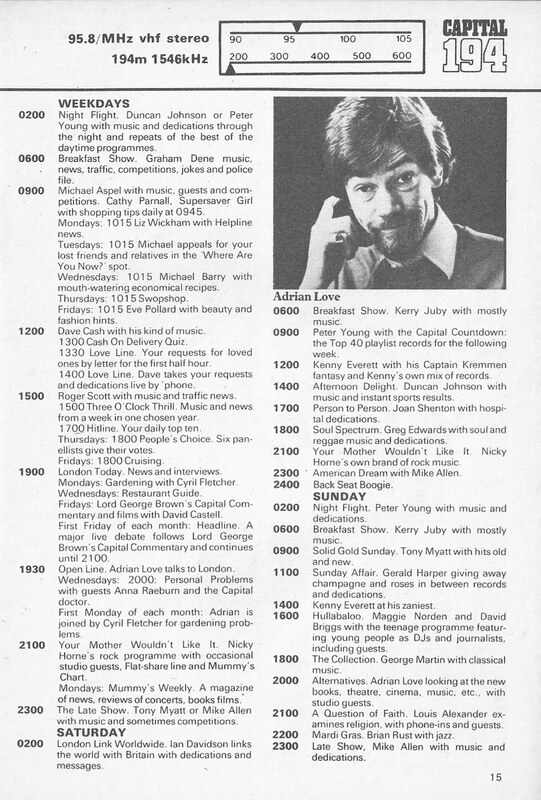 In came Kenny Everett and Dave Cash to re-create their Kenny and Cash teaming that had been so popular on pirate Radio London and Michael Aspel joined in 1974 to beef up the morning schedules against strong competition from Tony Blackburn. Early attempts at drama serials such as The Bed Sitter, with Peggy Mount, A King and his Mistress, She and Me and Honey Adair were gradually dropped and the Head of Drama resigned when he found he had no drama to produce. - Roger Scott - who also worked at stations in the States and Canada and was later to join Radio 1. - Adrian Love – he’d moved from LBC and would eventually go to Radio 1 (Studio B15) and then a weekday afternoon show for Radio 2 in the late 1980s. - Nicky Horne - with his very popular rock show You’re Mother Wouldn’t Like It, now currently on Planet Rock. - Graham Dene - who came via Radio City and by late 1977 was hosting The Breakfast Show, having taken over from Kenny Everett. 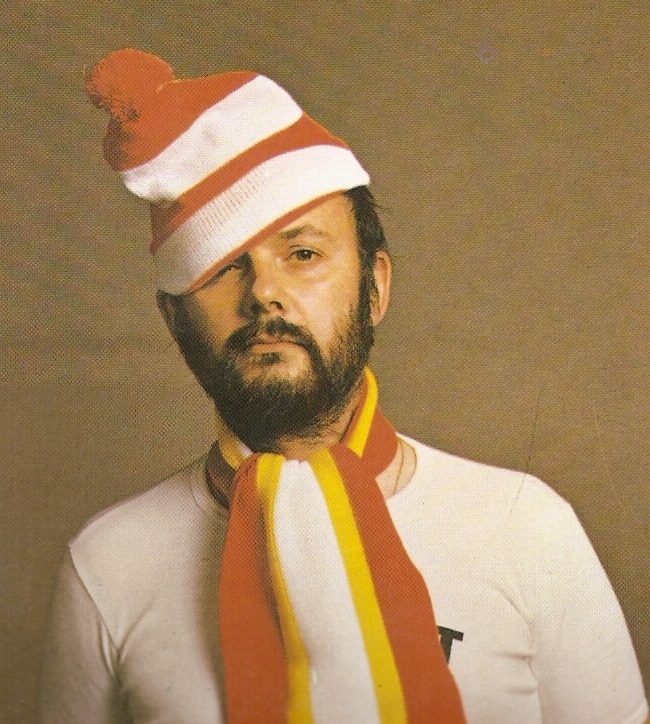 Kenny Everett by now was on at the weekends leaving Dave Cash with a weekday show at noon. Kenny’s programme featured the adventures of Captain Kremmen and his well-endowed sidekick Carla. A number of Capital’s DJs had come from the BBC. Of course there was Michael Aspel at that time best know for Crackerjack, Ask Aspel and being the London anchor on Family Favourites. Duncan Johnson had been in the original team at Radio 1, although seemingly given little to do other than present Crack the Clue. Tony Myatt, one of the hosts of The Late Show, had been at Radio 1 where he presented Night Ride. Another familiar name to Capital Radio in the early days was Joan Shenton, a former reporter on BBC1’s Nationwide, who had been at the station from the start co-presenting, in an unlikely partnership, with Tommy Vance. Actor turned DJ Gerald Harper (think Adam Adamant and Hadleigh) was by this time presenting his long-running Sunday Affair where he could be found “giving away champagne and roses in between records and dedications”. He later presented a similar show on Radio 2 in the 90s and surely his Sunday Affair was a blueprint for Steve Wright’s Sunday Love Songs? Hullabaloo was Capital’s programme for children and had originally been presented by one Susan Stranks (of Magpie fame) who would go on to champion children’s radio, with only limited success, for many years. 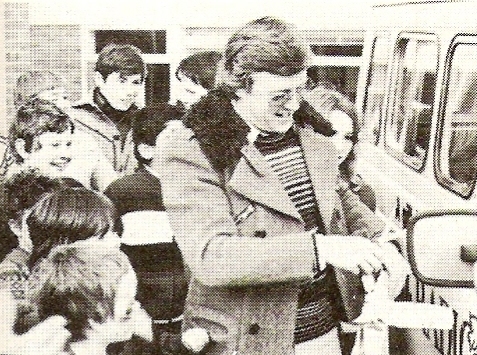 Presenting the show in 1977 were Maggie Norden, daughter of Denis, who had arrived at the station via Metro Radio’s Night Flight and a certain David Briggs. David would go on to work with Chris Tarrant at Capital and become one of the richest men in broadcasting when he came up with the idea for Who Wants to be a Millionaire? Presenting Soul Spectrum was Greg Edwards. After DJ’ing in Manchester’s discos Greg broke into broadcasting at BBC Radio Manchester. Whilst subsequently working for CBS Records he was asked to deputise for David Simmonds on his Radio 1 R&B show and then also filled in for Rosko. He joined Capital when it started. A DJ I have to admit I’m not familiar with is Mike Allen. Mike was the other host of The Late Show and would later go on to champion hip-hop music. There’s an informative interview here. 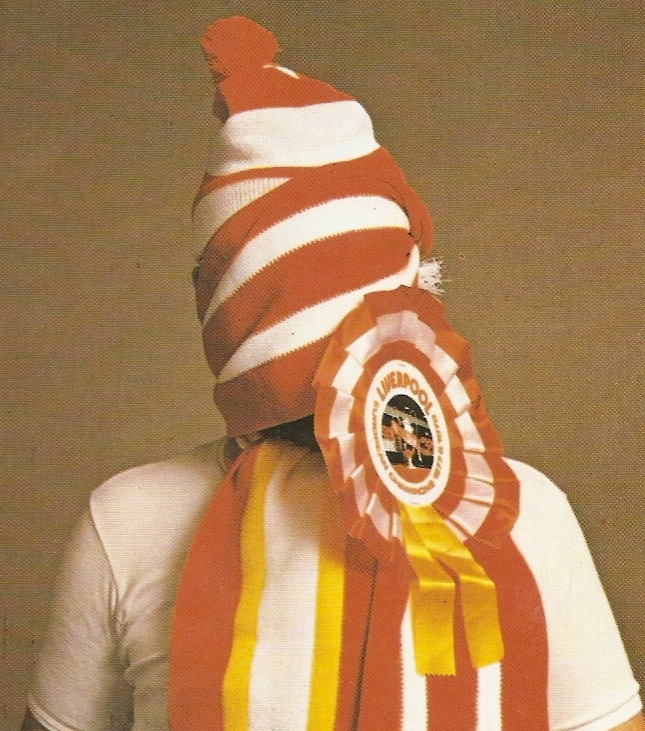 Back in 1977 Capital was not just a pop station. You’ll notice that the Christmas and New Year’s Day entertainment included performances from the Wren Orchestra and that Sunday’s The Collection was hosted by one George Martin. Mardi Gras, a long-running jazz programme was presented by jazz discographer Brian Rust who died earlier this year. Capital Radio had some well-known ‘experts’ too: Cyril Fletcher (“odd ode coming up”) talked about gardening, Eve Pollard handled beauty and fashion, Anna Raeburn was the agony aunt and Michael Barry provided recipe ideas. Michael (aka ‘The Crafty Cook’) was in fact Michael Bukht who had been the first Programme Controller at Capital, a role he later performed at Classic FM. Note that the Director of Programmes at the time was now Aidan Day who had been a producer at Radio 1 and is surely the only station director to feature in the lyrics of a song, albeit an uncomplimentary mention, that of Capital Radio by The Clash. Managing Director John Whitney would go on to be Director General of the IBA. 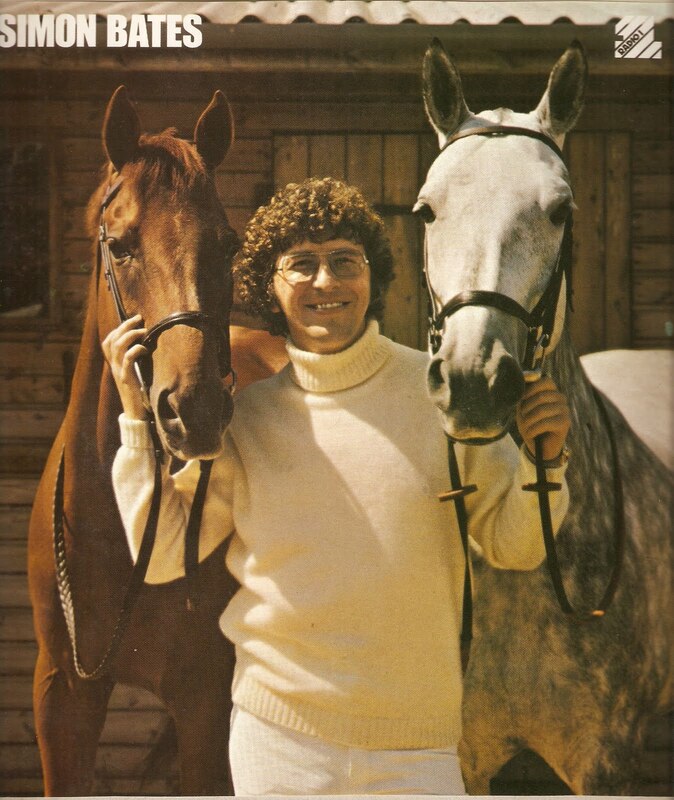 In this the final post in the series on DJ Heaven it’s the turn of guitar playing, Cliff impersonating, pop quizzing, tennis playing, poetry writing Mike Read. 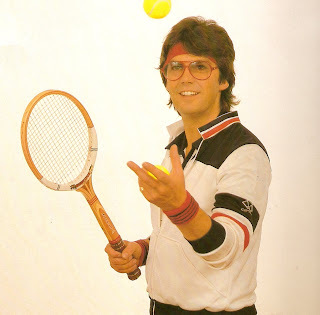 Hands up if, on hearing his name, you want to sing the jingle: “Mike Read, Mike Read, 275 and 285. Mike Read, Mike Read National Radio 1”. Go on you know you want to. This edition of DJ Heaven was broadcast on BBC2 on 13 November 1993. Narration for the series was provided by Veronika Hyks. The producer was Jeannie Clark. Mike was until quite recently still broadcasting but he seems to be finding it increasingly difficult to get a paying gig. Last year he was on Total Star out of Cheltenham but that company experienced some financial woes. In November he was back at Big L but that was beset with transmitter problems. By February this year Mike was now on One Gold, broadcasting on FM in Spain and also online. One Gold also experienced numerous technical problems and never, as far as I’m aware, played a commercial. One Gold is currently off air. Here’s a scoped aircheck of Mike Read on Big L from 17 October 2010. At first Mike is somewhat pre-occupied with technical issues in the studio but also covers the news of the day – the royal engagement of William and Catherine and the release of Beatles tracks on iTunes. And, despite giving out the email address many times, you’ll notice that he reads out not a single message. Was anyone other than me listening? The kids are off school, the sun is out (!) so let’s head to the coast for the Radio 1 Roadshow. A trip to the seaside to watch your favourite DJ was, for nearly thirty years, a regular summer event. That and maybe seeing a performance from a minor pop sensation of the day and a BBC OB crew wearing shorts and polo shirts, regardless of the weather, to a man. While there I noticed the site on which we were staying had been taken over for a day by a sponsor who was staging all kinds of sporting and boule activities. In the evening a mobile stage was set up and as dusk approached people strolled towards it carrying their aluminium chairs. Being a nosey sort of bloke I wanted to see what was going on. There was to be an audience participation show, which turned out to be staged under the auspices of Radio Monte Carlo. There were a couple of big trucks and a stage in front of one of them. I watched with a professional interest as the evening wore on and we were treated to a sort of cross between a small scale Sunday Night at the London Palladium with cabaret acts and live musicians interspersed with all kinds of audience participation games. I found out that the show was recorded and edited for subsequent transmission on Radio Monte Carlo. 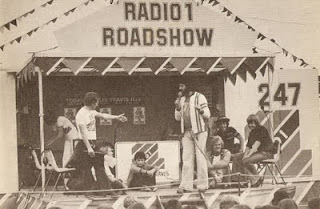 Back in the UK Johnny had to find his roadshow vehicle and through BBC Bristol producer Brain Patten came to meet the manager of Adge Cutler and the Wurzels who had a van he used for staging the band at country fairs. The manager was John Miles who, with his brother Tony aka “Smiley Miley”, would provide the roadshow trucks and “Goodie Mobiles” for many years. 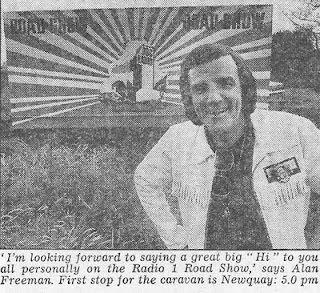 The first Radio 1 Road Show aired on Monday 23 July 1973 and was presented by Alan Freeman. 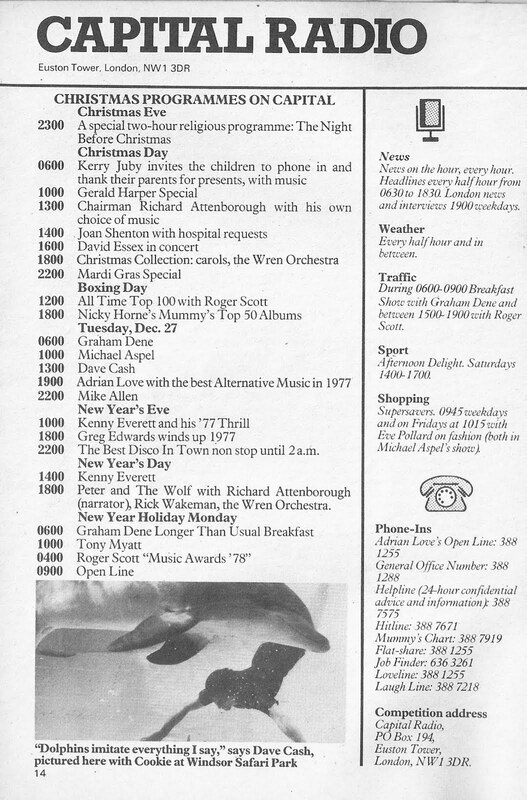 Initially it was seen as a summer substitute for the long-running Radio 1 Club and so went out in the same late afternoon timeslot (see Radio Times left). It wasn’t until the 1975 series that it was moved to the late morning slot it occupied until the end of its run in 1999. A set of bespoke Roadshow jingles was commissioned from Studio G rather than PAMS in Dallas who Radio 1 was using at the time; jingles used to great effect in the programme trailers and opening. Soon features such as Bits and Pieces and the Smiley Miley Mileage Game became summer regulars. 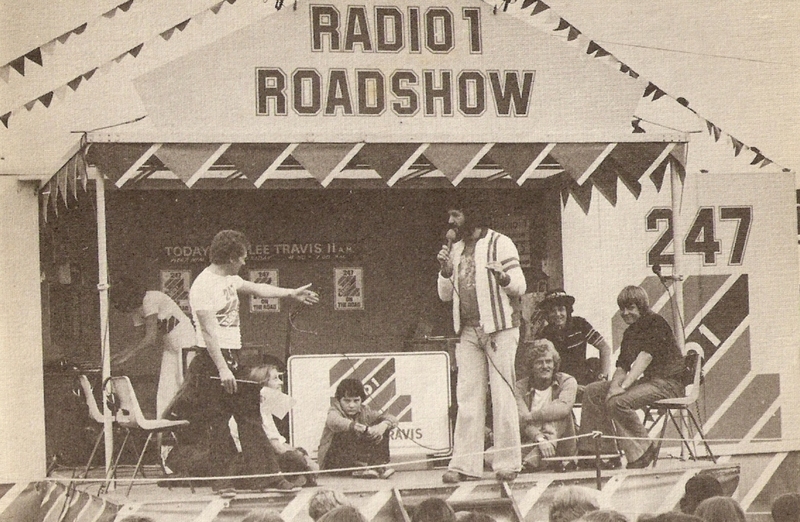 So let’s go back to the Roadshow’s 10th season and hear part of a Mike Read programme from The Promenade, Ilfracombe. The producer is Johnny Beerling. The date Wednesday 21 July 1982. In typical Mike fashion within minutes out comes the guitar as he goes into a Cliff Richard impression. I’ll be posting more about the Roadshow including video of a programme from the early 90s but if you have any audio that you’d like to share please contact me. This is the first post in a series looking at the original nineteen ILR stations. This week LBC, the London Broadcasting Company. Still on air? : Yes, though after changes in format and ownership and losing the IRN contract. Provides a talk format on FM and a rolling news service on AM. 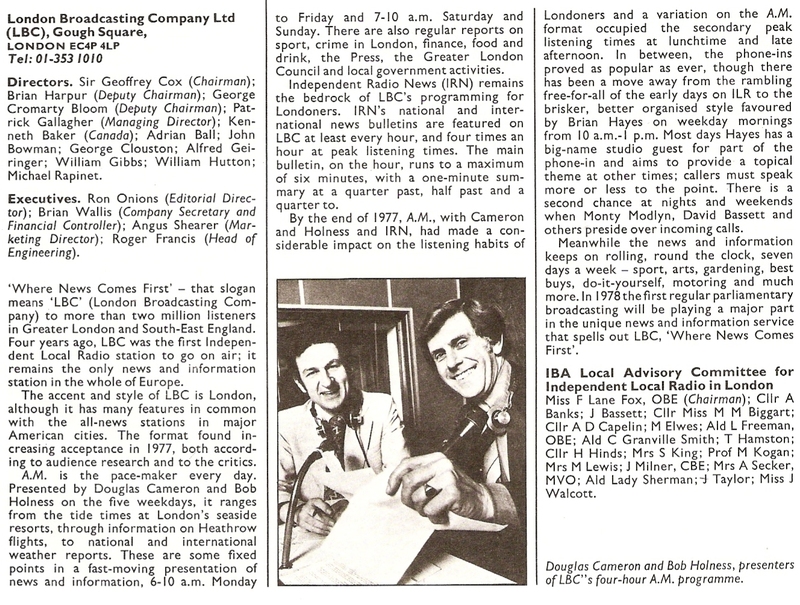 LBC was the first ILR station to go on-air providing a news and information service for London and an international and national news service, Independent Radio News, for the whole of the ILR network. It lost the IRN contract to ITN in 1992. Originally planned as a 24-hour news station, financial difficulties in the first year of operation lead to schedule changes and and increase in the music output. 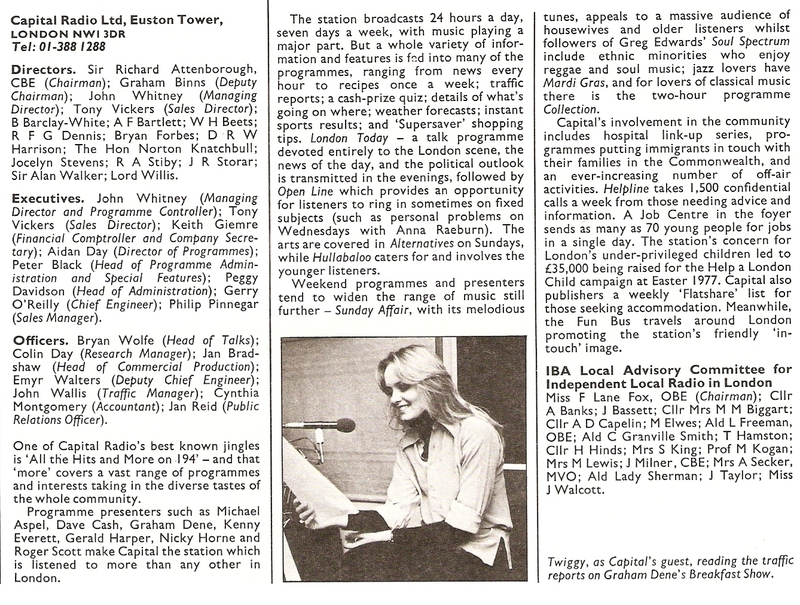 The flagship programme was AM co-presented for many years by Douglas Cameron and Bob Holness (having taken over the co-presenting reins from Clive Roslin). Douglas had the news background having worked on Radio 4’s Today whilst Bob had a more entertainment background as one of the hosts of Late Night Extra on Radios 1 & 2. Bob had been with LBC as the AM traffic reporter in Helicopter 417 - named after LBC's medium wave length before it moved to 261m in February 1975 - and took over from Clive Roslin as co-presenter. He returned to the BBC in the 80s and 90s mainly on Radio 2 and, of course, is best known for Central TV’s Blockbusters. Hosting the mid-morning phone-in was Brian Hayes who was at LBC for many years before turning up on Radio 2 on the breakfast show, being a regular stand-in for Jimmy Young and working on Radio 5 Live. Part of the news team included Susannah Simons who would later go on to work at Radio 4 on PM and Classic FM. She is currently the Project Executive for the BBC 2012 Cultural Olympiad. Previous presenters had included Jon Snow and Carol Barnes - I wonder what happened to them! Featured photos are of Monty Modlyn who had found fame in the 1960s as a roving reporter on the Today programme and George Gale the irascible columnist for the Daily Express. 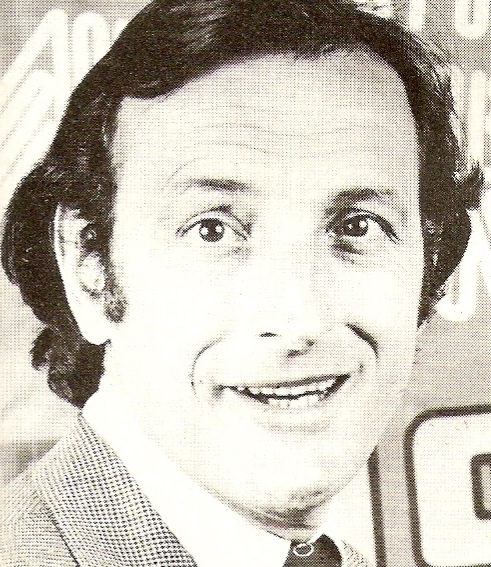 David Bassett billed as “the non-nonsense man” was co-founder and programme controller of Plymouth Sound and was also broadcasting during the week on that station. 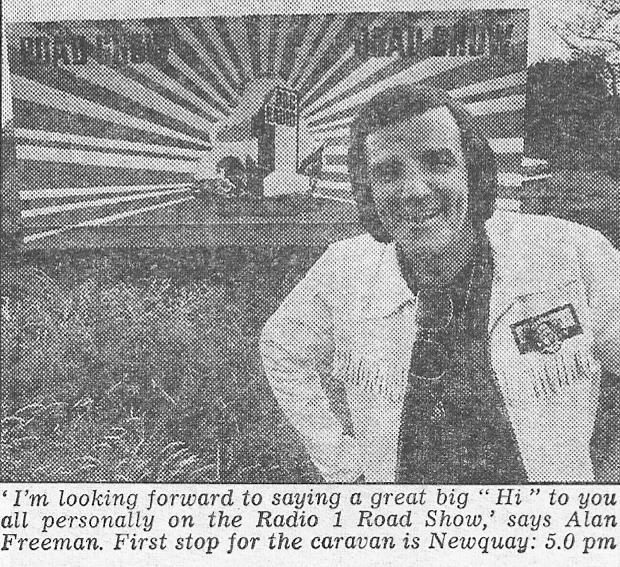 He would later work at BBC Radio Devon. Douglas Cameron was invariably the main IRN newsreader in the morning; others reading the lion’s share of the bulletins in 1977 were Susannah Simons, Alan Clark, Neil Landor (who later presented Enquire Within on Radio 4), Nick Page (who moved onto BBC Radio Wales and Radio 2), Vivian White (best known as a reporter on Panorama), Hugh Williams, David Geary (ex-BBC and who would return to Radio 2 as a newsreader), Tricia Ingrams (later on Thames News), Dickie Arbiter (who would go on to be Press Spokesperson for the Queen) and Peter Allen (long on Radio 5 Live). Thanks to Geoff Lumley for the audio extracts. Think of Simon Bates and you’ll probably think of Our Tune and The Golden Hour. They’re a feature of his current show on Smooth just as they were thirty years ago on Radio 1. Simon Bates was born in Birmingham in December 1947 and was brought up on his parents’ farm in Shropshire. After an unsuccessful brush with university, he went to New Zealand where he made his broadcasting debut as ‘Boy’ in a radio serialisation of Tarzan, while earning a living milking cows. He stayed in New Zealand with the NZBC for four years becoming well known for his television work and his commercial radio show. In 1969 he moved to Australia and spent the next two years with the Australian Broadcasting Commission in Sydney, introducing a weekly television arts programme and migrant community affairs programmes, as well as travelling around the Pacific a good deal. 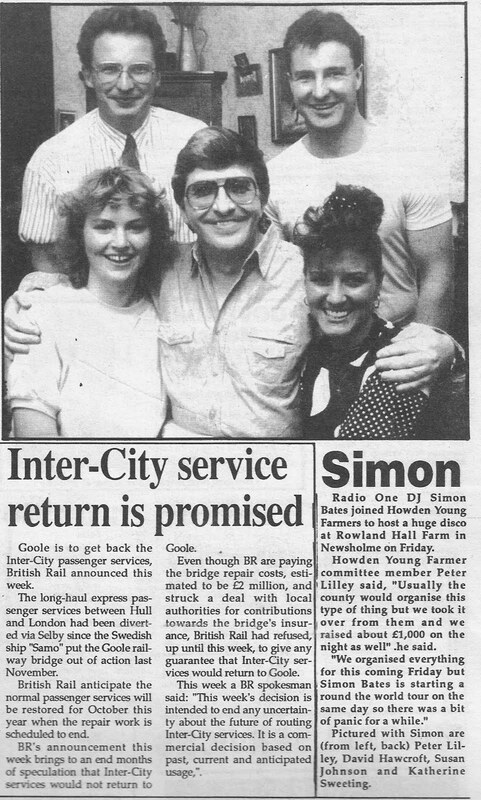 Simon joined Radio 1 in 1976 and after deputising for holidaying disc jockeys was given his own Sunday morning show in July that year. At the end of the following year he took over the Monday to Friday mid-morning programme from Tony Blackburn and has also presented Sunday afternoon’s chart show since 1978. Whenever he has the time Simon combines disc jockeying with work as a television announcer. Although he lives in London, he spends as much time as he can on the farm in Shropshire, following his main outside interest – riding. In fact the biography overlooks the fact that Simon initially joined the BBC as a Radio 4 announcer and newsreader before transferring to Radio 2 in 1972. Here he hosted a range of programmes,such as Late Night Extra, Sweet ‘n’ Swing, Folk 73, Dancing to Midnight, At the Jazz Band Ball, Saturday Night with the BBC Radio Orchestra and, for two years, The Early Show. Simon’s break on Radio 1 was prompted by Johnnie Walker leaving his lunchtime show and Radio 1 to work in the States. 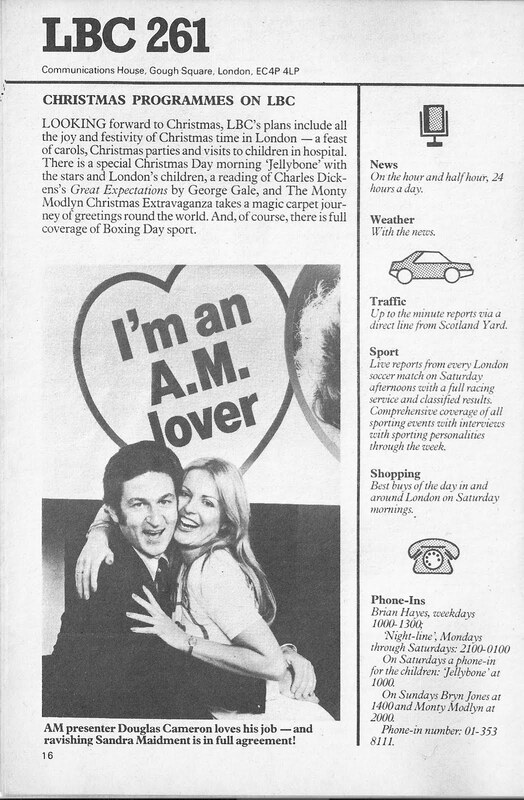 Paul Burnett moved from Sunday mornings to lunchtime and it was Simon that took over Paul’s show that the Radio Times titled All There is to Hear, although Bates seemed to refer to it as The Music Machine in this short clip. As is well recorded Simon left Radio 1 before he was pushed by Mathew Bannister’s sweeping reforms. Thereafter, stints at Atlantic 252, Liberty, Talk Radio, LBC and a many years at Classic FM followed before he moved back to pop radio earlier this year on Smooth’s Breakfast Show, complete with The Golden Hour and Our Tune. But back to 1993 and another edition of the BBC2 programme DJ Heaven featuring our Simon. This was broadcast on 6th November. Young Farmers back in 1989. It was 30 years ago today that the Queen officially opened the Humber Bridge. That morning many of us went down to Brough station to watch the Royal train passing by, though we didn’t get to see the Royal party as it sped through. In the evening Val and I attended a concert at Hull City Hall and then wandered down to the Humber to watch a spectacular firework display. 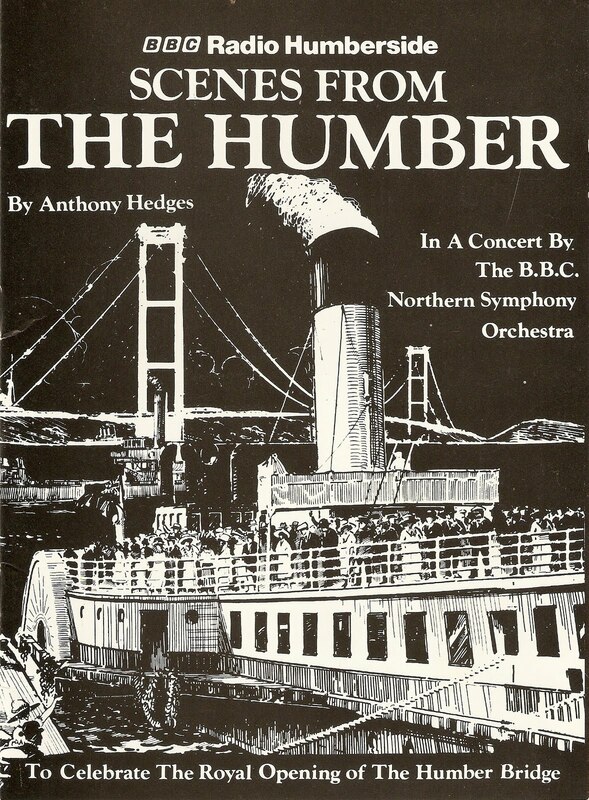 That City Hall concert included a specially commissioned piece by Anthony Hedges titled Scenes from the Humber. It consisted of four movements – Petuaria Patrol, Spurn Point Elegy, Lincoln Castle Intermezzo and Humber Keel Hornpipe. As I used to live in Brough, a settlement that the Romans called Petuaria, here’s that first movement played by the BBC Northern Symphony Orchestra conducted by Günther Herbig. The announcer, from the BBC’s Manchester studios, is Michael Scott. Though the Queen cut the ribbon on 18 July the bridge had been open to traffic from 24 June. Here’s how BBC Radio Humberside reported that opening. Providing the commentary are Robin Pulford and Barry Stockdale. 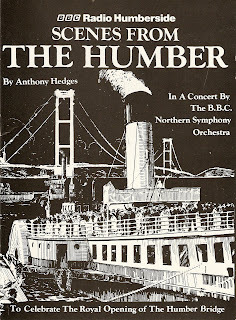 The Song of Humberside is sung by Chris Rowe. More on the Humber Bridge here. When I started this blog as Random Radio Jottings and Other Gubbins last November the original intention was to post about radio and anything else that struck me as remotely interesting. In the event all my posts have been radio-related so I’ve renamed the blog Random Radio Jottings (the URL remains unchanged). Welcome to this first post in a series on the initial tranche of the UK’s Independent Local Radio (ILR) stations. Each week from now until November I’ll be featuring programme listings and station information for all nineteen stations. 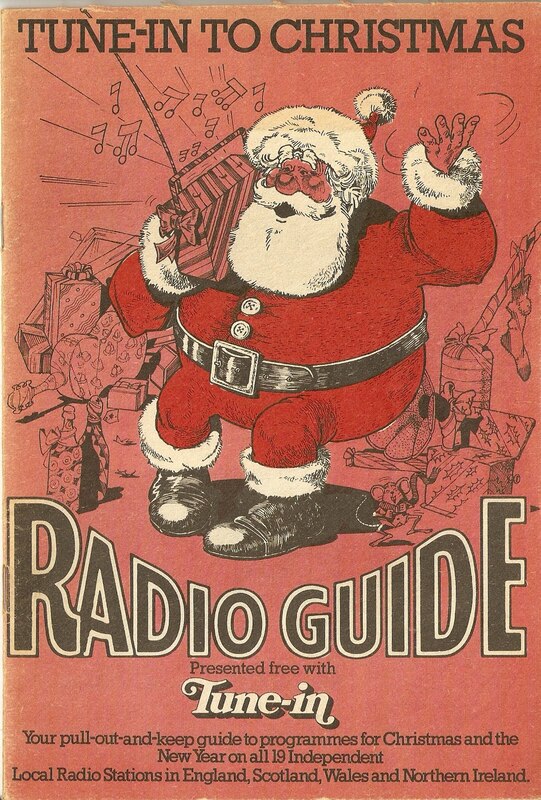 The inspiration for these posts came from the rediscovery of a Radio Guide booklet published in December 1977 issued with Tune-In magazine, from the publishers of the TV Times. The Radio Guide has a couple of pages for each station showing their programmes in a typical week. 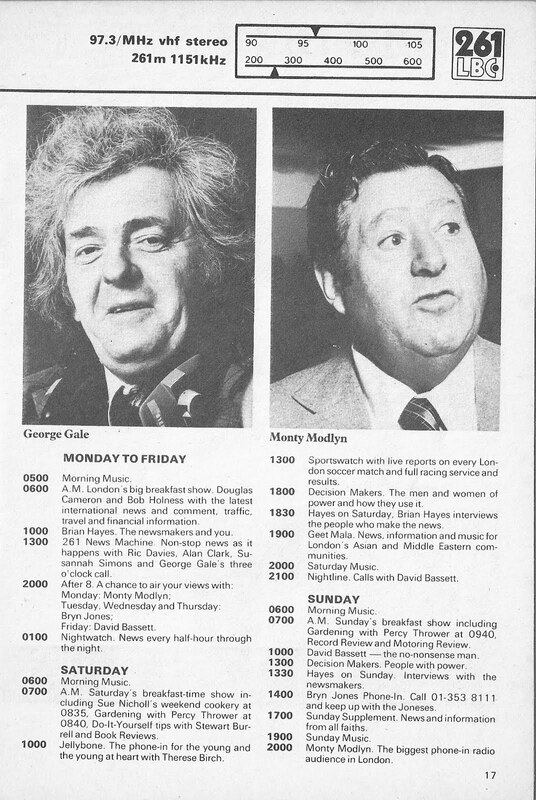 I’ll be featuring those programme listings together with relevant pages from the IBA Television and Radio book published a month later in January 1978. The nineteen stations went on-air over the period October 1973 to April 1976 under licences awarded by the Independent Broadcasting Authority (IBA). Each ILR area had a Local Advisory Committee – a cross-section of the public who fed back information and opinion to the IBA. Unlike today’s commercial station the programming was very varied and not the wall-to-wall high rotation chart music we ‘enjoy’ today. This diversity was similar to that offered by BBC Local Radio and was a necessary requirement to meet the lofty ideals of the IBA Act. So you’d get classical music (all stations offered at least one programme a week and Capital financed the Wren Orchestra), jazz, folk and country. 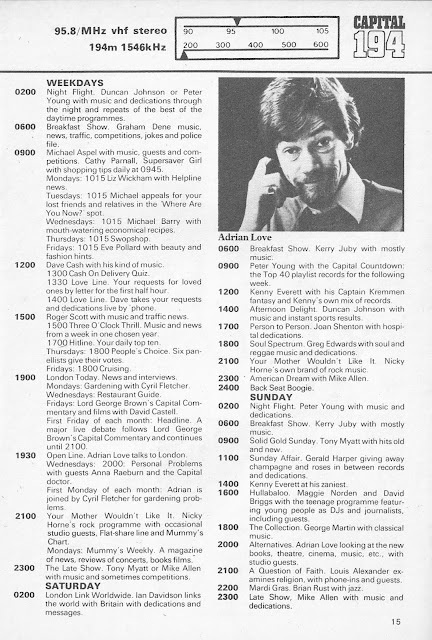 Phone-ins, arts programmes, current affairs, religion, children’s programmes (Plymouth Sound had a Head of Women’s and Children’s Programming), drama (Radio Forth produced Mary, Queen of Scots for example), gardening, all found their way into the schedule. The core of the output remained music but needletime was restricted to nine hours per day, hence the other programmes and live music and concerts. News for all the stations was provided by LBC either by taking the actual bulletins from London or a news feed to help the station produce their own bulletin. 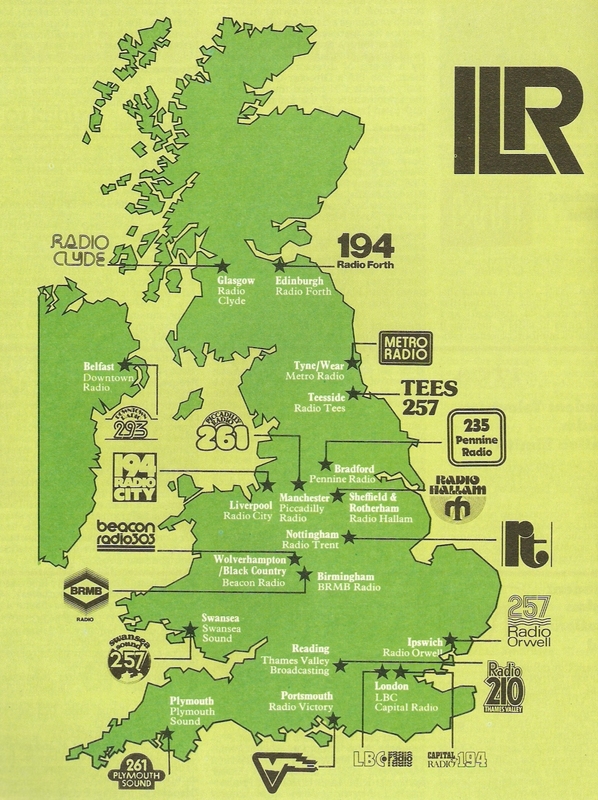 So over the next nineteen weeks remember the ILR programmes and presenters of 1977 in the order that they came on air, from LBC to Beacon. As usual your memories, audio clips and photographs are more than welcome. As John Peel himself says on this video clip he’s the one normally to be found on the radio playing “lots of records by sulky Belgians”. So it was perhaps a surprise when he turned up on Top of the Pops in 1982 for what was to be a fondly remembered run as programme presenter. Eschewing the forced enthusiasm of fellow presenters he adopted a witty, mocking and sarcastic style between the day’s latest pop and new wave hits. No sulky Belgians in these two programme clips from the early 80s but there is an LP released in Belgium if that counts. With the last ever launch of a NASA space shuttle expected some time today (weather permitting) here’s how BBC Radio covered the launch of the first shuttle Columbia 30 years ago. The launch was due on Friday 10 April but had to be suspended due to problems with fuel cell warning lights and the fact that backup flight software had not been fully tested. In this clip from Radio 4’s PM you’ll hear Susannah Simons, Gordon Clough and aerospace correspondent James Wilkinson. By Sunday it was all systems go and James Wilkinson broke into Pete Murray’s Sunday Show to cover the event live, with commentary also going out on Radio 4’s The World this Weekend. 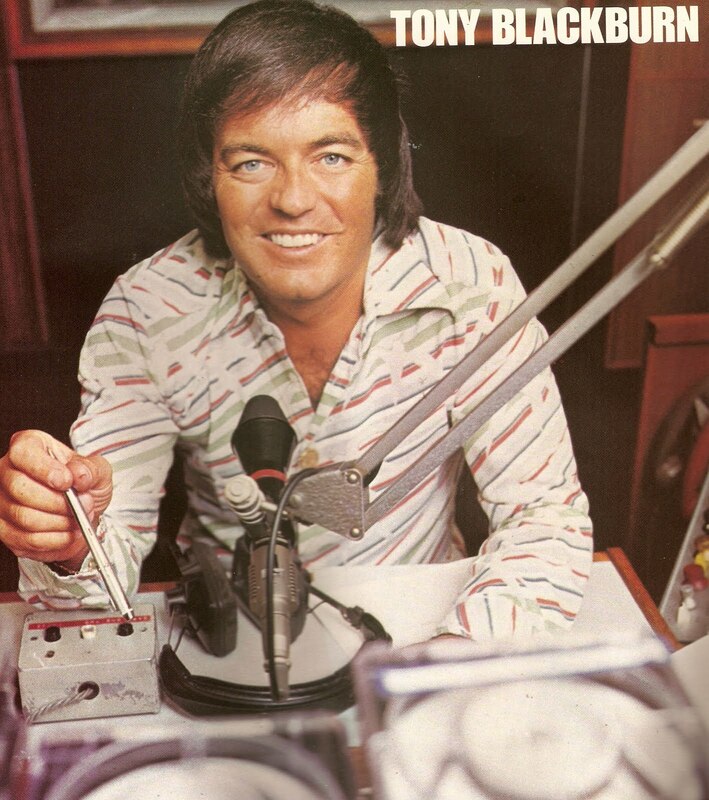 Always cheesy, never cool, Tony Blackburn remains in the top flight of radio broadcasters. After bobbing about in the North Sea for three years on the Mi Amigo and the Galaxy, in May 1967 Tony got the call from his agent Harold Davison to report to Broadcasting House. And so that was why a day or two later I had my hair cut, changed out of my jeans into a sober suit and tie and for the first time crossed the threshold of the BBC. I had an appointment to see Mark White, an executive with a real, old-fashioned BBC title as ‘Assistant Head of the Gramophone Department’. I was so nervous and he was so charming that I remember calling him ‘Sir’. Mark White told me I had come to his attention because he had listened to the pirates and admired my breakfast show on Radio London. For that reason the BBC would pay me £20 per week to present Midday Spin and if I came up to his expectations I would be the DJ to have the honour of launching Radio 1. I couldn’t believe my good fortune and all I could say was, ‘Are you really sure I’m the person you want? I talk a lot of nonsense about my knees’. So Tony joined the Beeb to host Midday Spin on the Light Programme (a programme that didn’t actually start at midday but at quarter past the hour) sandwiched between Melodies for You and Parade of the Pops. 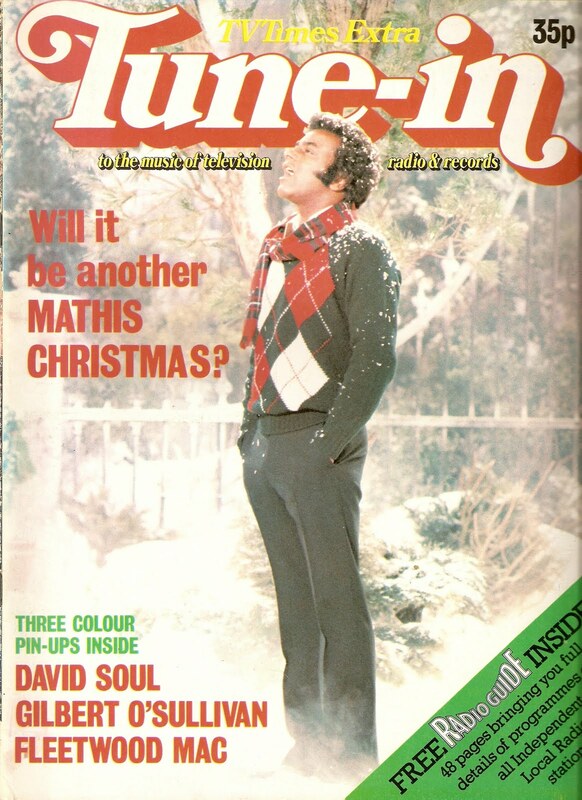 Of course his try out was successful and Tony opened up the network on 30 September 1967 with what the Radio Times billed as a Daily Disc Delivery. Notice 11 November 2014: It seems that the above clip of DJ Heaven has been blocked in the UK by YouTube. Sorry about that.